Whether a city or village, a large utility district or the local library, public entities touch the lives of all their residents. Meeting the needs of the community can be challenging, especially in the face of tight budgets and shifting priorities. Now more than ever, keeping and maintaining the public trust is vital to successfully fulfilling the unique mission of public service. Unfortunately, many of our public institutions have become the target of politically motivated hacker activity. Disrupting web traffic, defacing websites and stealing sensitive information has become commonplace across all levels of government and responding to such disruptions can put a heavy strain on already limited resources. What’s more, a compromise of personal information or other private data can quickly erode public confidence. 2012 was a difficult year for our public organizations, with a 68% increase in reported breaches compared to 2011. With incidents on the rise and funding scarce for elaborate technical solutions, investing in risk based, information security management is a wise choice. Risk Based Security offers a number of solutions designed to address the special needs of government. 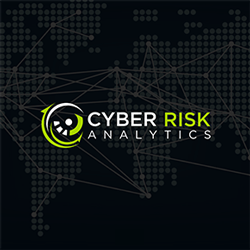 Cyber Risk Analytics offers access to a data breach database containing industry specific details on threat vectors and vulnerabilities. The database is easily accessible through analytical tools and dashboards designed to support risk analysis and to identify security risks by industry, giving organizations the power to identify the true risks to their most valuable assets. Security Intelligence Reports offers organizations a quarterly report that highlights the global trends in information security incidents along with lessons learned and recommendations. A subscription to Security Intelligence Reports provides organizations with a glimpse into the most current information security breaches and the potential impact on their operation. 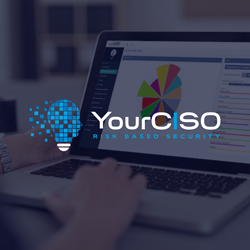 YOURCISO is aimed at helping organizations that do not have security resources on staff by providing access to security intelligence and the right expertise on an as needed basis delivered through a SaaS model. All services are fulfilled by an experienced security professional with the objective to assist organizations with the planning and management of their information security and risk management programs. Risk assessment is the foundation for building a comprehensive Information Security Program that adequately protects the confidentiality, integrity and availability of an organization’s information assets. 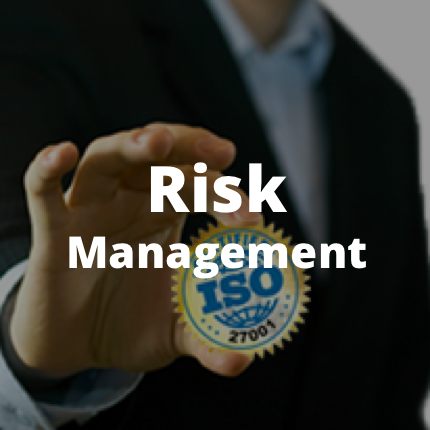 Risk Based Security employs a standard assessment methodology and approach based on the guidelines in ISO/IEC 27001:2005, ISO 31000:2009 and NIST SP 800-30 to ensure a consistent and high value result. Documented security policies are the very foundation of an organization’s security program. Employees need to understand management’s expectations in regards to information security in order to have any chance of doing the right things. Risk Based Security’s “Policy Toolkits” provide easy to customize policy documents appropriate for the small business looking for the bare minimum policies and procedures to the mature organization seeking certification to ISO/IEC 27001:2005. One of the best ways to reduce the risk to an organization’s information assets is to institute company-wide security-awareness training. Our training initiatives include links to security awareness website(s) and security awareness, risk assessment and ISO/IEC 27001 presentations. The overall objective of a Vulnerability Assessment is to scan, investigate, analyze and report on the level of risk associated with any vulnerabilities discovered on public, internet-facing devices and to provide your organization with appropriate mitigation strategies. The Risk Based Security Vulnerability Assessment methodology has been designed to comprehensively identify, classify and analyze known vulnerabilities in order to recommend the right mitigation actions. Everything we do is focused on helping organizations avoid a security incident. However, in today’s environment every organization needs to be prepared for dealing with a data breach. Each client organization will have access to incident response planning documents as well as a security advisor for a 30 minute consultation in case of a breach. Risk Based Security provides customized training, security assessments, security program audits and gap analysis as well as pre-certification consulting services to both protect organizations with best practice security controls and to prepare them for a smooth ISO/IEC 27001:2005 certification audit. Risk Based Security’s VulnDB API is ideal for organizations that need timely information on software threats to their organization, companies that create signatures for security products, and agencies tasked with providing incident response. 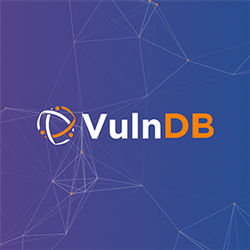 By leveraging the data available through the VulnDB API, organizations have access to a comprehensive data source that delivers reliable and timely alerts and recommendations about software vulnerabilities and patch availability. Call 855-RBS-RISK or eMail: [email protected] to choose the solutions right for you. Customized Packages are also available.